once was the home of John Tierney, Henry Lawson’s school teacher, Tierney House provides self-contained accommodation for families and groups of up to 15. Luxury accommodation, with pool, heated spa, king size rooms. Ideal weekends away and short breaks. Rated 4.5 stars by AAAT. Intimate adult retreat set in park-like gardens 1 km from Mudgee, where guests enjoy great views and a farmland experience just minutes from town. Private 5 star luxury cottages located on 9 acres, yet right in Mudgee town, with frontage to the Cudgegong River. Charming and tastefully renovated homestead accommodation situated on a 1300 acre working cattle property. Fully self-contained and luxuriously appointed. Magnificent heritage federation home overlooking beautiful Lawson Park and the Cudgegong River. Enjoy privacy and independence in your own self-contained home when holidaying in historic Rylstone. 4 bedrooms, modern kitchen and tastefully furnished. All within easy walking distance to all amenities. Warm country hospitality, great accommodation with bed and breakfast options, all in the heart of Mudgee. 'The Post' Steakhouse and Bar provides first-class service and great dining. Multi-award winning Mudgee Homestead Guesthouse, a stunning, purpose-built Federation-style guesthouse elevated on the flanks of Mount Buckaroo a mere 5 minutes from town. 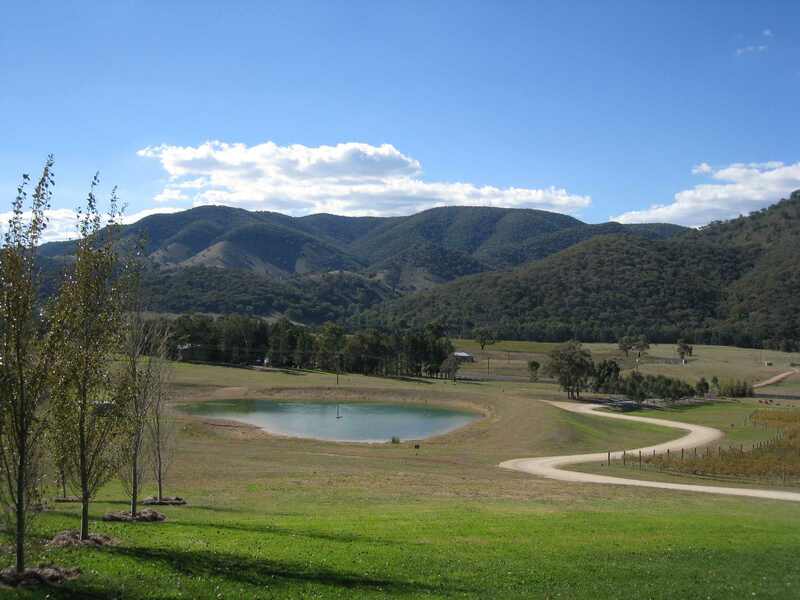 Surrounded by 30 acres of land, with beautiful manicured gardens, and only 1 km away from the centre of Mudgee. Large, luxurious, guestrooms and the largest and best equipped function centre in the Central West. Accommodation amongst 15 hectares of vineyards form part of this idyllic country setting in wine country. Choose from the delightful Pipeclay Lodge or the historic Bushmans Cottage, built in the 1880’s as a grazer’s cottage and now restored into charming accommodation. Quiet and relaxing with the kind of country friendliness that makes Mudgee and the Vineyard Motor Inn the first choice for many holidays and business events. 6 beautiful fully self-contained homes and cottages. 9 acres of gardens & rural parkland in town. Relaxing river frontage. All exclusively yours. Built in the late 1800s, Mudgee B&B retains its charm from its previous life as the original farm house accommodation on a working dairy farm.